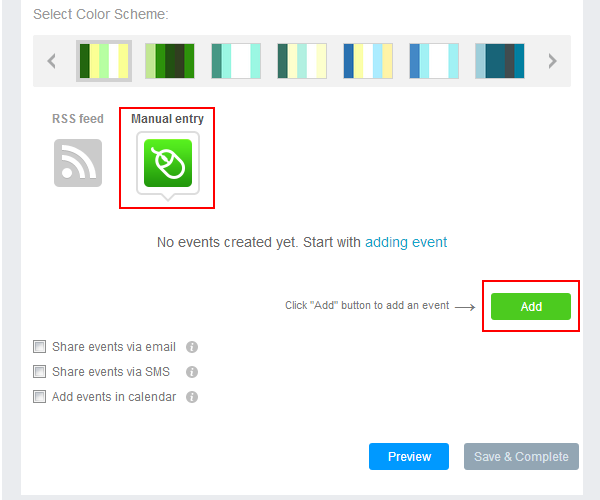 If you’ve got events that you need to announce via your app, then use the Events widget. 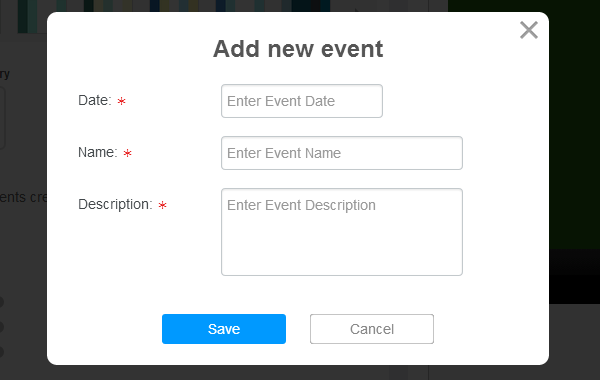 To insert the Events widget into your app choose it in the change widget type popup. 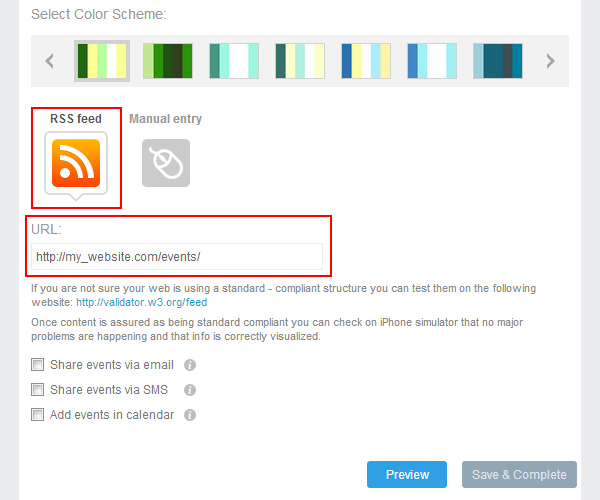 In the popup, enter the date, title, and description and click "Save" button. Here you go! 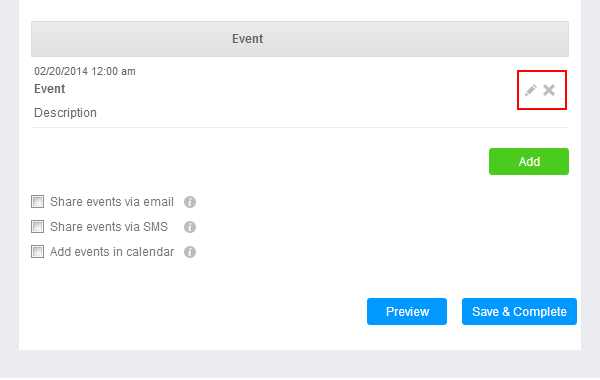 Now all your users will get information on your events.